Huawei is facing charges of stealing trade secrets from US companies, reports the Wall Street Journal, exacerbating the challenges facing the Chinese networking giant. The US probe is based on an accusation made by T-Mobile in 2014. The US operator claimed Huawei illegally stole technology related to mobile phone testing robot, and a court in Seattle ruled that although trade secrets had been misappropriated, the act was not malicious. 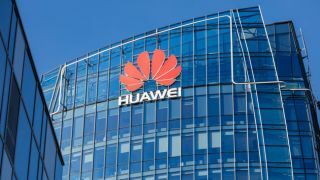 Huawei and the Department of Justice reportedly declined to comment, but any investigation would add to the multiplying and escalating issues facing Huawei on a number of fronts. Several nations have expressed concern about the use of Huawei’s equipment in their telecoms infrastructure, while diplomatic and trade tensions between the US and China are high. Huawei founder Ren Zhengfei made a rare appearance earlier this week to state that he and the company had never spied on behalf of the Chinese government and had no intentions of doing so. And now it appears as though Germany is considering new measures to stop operators using Huawei kit in their 5G networks – despite stating last year it saw no legal basis to do so. The Handelsblatt newspaper says the government could impose strict security standards that would be impossible for Huawei to meet and could, as a last resort, change the country’s telecommunications laws.